They say a picture is worth a thousand words. I spent the better part of last night contemplating what that actually means. Because there is a beautiful moment I captured in a picture that I can’t leave alone. Well, that’s certainly true in this case. This picture is worth a thousand words. It’s also worth a thousand of my tears because it has torn me up. I have often told Brent that my heart is too big. Spiritually speaking. I can’t speak to the nature of my physical heart. Not sure of it’s size, but I’ve never been told it’s too big. It’s a difficult thing to explain, but there are certain moments that strike a chord in my heart and it affects me to my absolute core. It challenges me. It moves me. It breaks me. It changes me. I just flat out love Jesus. It’s these moments that strip me of all the worldly cares and remind me of my love for Him. We went to out as a family on Saturday to get ice cream. As we sat under an aluminum covering on wooden picnic tables eating our ice cream there was a family behind us. They were speaking rapid Spanish and I explained to Lily what she was hearing. She gets thirty minutes of Spanish class each week at school, so I thought she would enjoy hearing the real deal. The family consisted of a little girl, her mom, and grandfather. The girl appeared to be the same age as Lily. They started playing together. The following moments were the most beautiful picture that God has given me into the heart of my daughter, the way He is working in her life, and the way it affects me. Scott was fussy. He wasn’t tired. He wasn’t hungry. He was mad we had thrown away the rest of the ice cream. I knew that we wouldn’t be able to stay long. I quickly went into “Play for five minutes Lily then we need go” mode. But I soon realized that these two girls needed more than five minutes. There was a friendship forming in an unconventional way and I knew God wanted me to let it unfold to the fullest. Scott and I sat in the grass while Brent stayed at the picnic tables. For the next 30 minutes we witnessed the sweetest friendship form between two of the happiest girls I’ve ever seen. There were no words spoken. Actually (and I shouldn’t have to tell you this if you know Lily), there were words spoken. But there was no conversation. The only noise I heard from the friend were giggles and squeals, which speak for themselves. I attempted the only phrase I can remember on command, “Como se llama?” and the girl looked at me like you’re kind of a weird lady. I encouraged Lily to use some of the words she’s been learning. The only one she could remember was “frio”, which she used over and over again. Ha! The new friend never responded, probably because cold wasn’t the most accurate way to describe the weather. It was beautiful. The way they became best friends in a matter of minutes and never once had a conversation. They ran, skipped, jumped, and rolled down the hill. I had no care in the world of Lily getting into an ant bed, getting too close to the parking lot or street, or jumping too high. None of the normal things I try to shield her from mattered. I was soaking it all in. And so was Lily. She was being a kid without anything holding her back. Running free. Totally abandoned to this new friendship she had. The love of God gloriously transcends language barriers. I learned this in 2006 in Las Higuerillas, Mexico. 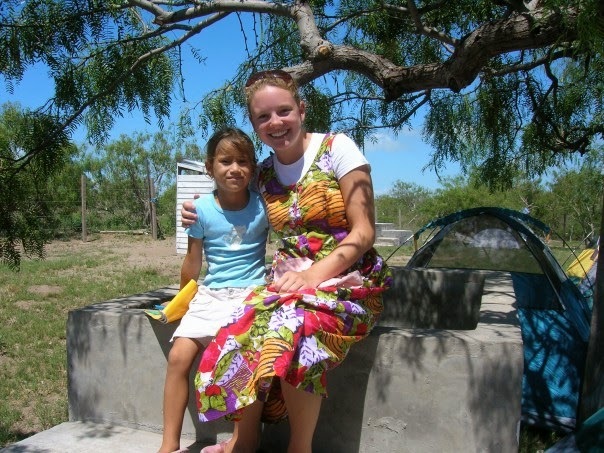 The best let’s take a family trip in an RV out west before Brittany graduates from college but decide to go on a mission trip to Mexico instead trip I’ve experienced. Maybe it’s because my area was hit hard with storms last week. Maybe it’s the clothes we gave away to a a little girl of a single mom who lost her house. Maybe it’s the conversation I had on the phone with a lady managing a clothing donation center for storm victims and the tears in her voice that almost brought me to my knees. Maybe it’s the forlorn man who helped get boxes of clothes out of the back of our car and gratefully walked away, excited to have just a few more pieces of clothing to pass out to people who had only the clothes on their back from the night of the storm. And maybe it’s all that combined with Lily’s new friend and the memories burned in my brain forever. But, I am not okay. I’m a mess of tears. My heart is living outside of me somewhere wanting to fix all the problems. I want to do it all. I want to house the 54+ students that are currently homeless. I want to feed them and clothe them. I want to love them. I want someone to call me and say, “Do you have room at your house?” and I want to say YES without hesitation and then joyfully prepare a room for them with fresh sheets and fluffed pillows and warm cookies and milk. And I want to know that it won’t be easy. It will be a major adjustment. I will have to put aside a lot of things. But, I will be reassured knowing it will be life-changing and life-giving for the giver and the receiver. And for Lily’s friend. I want to know her name. Know her family. Know their struggles. Show them the love of Jesus. Be generous to them. I’ve prayed several times that the Lord would allow us to run into them again. I hope He is orchestrating a second meeting. I want to do more. It’s like my heart was meant to wrap around more, to love more. It wants to reach out more, but the Lord has been clear with me that wife, mom, teacher is all that He asks of me now. It is enough and it glorifies Him. I’m praying for the more in our future. Praying that the Lord chooses to use the VKs in ways we are only dreaming about right now, and praying for a content heart that seeks His ways not our own. Beautiful! You always word things so very well. 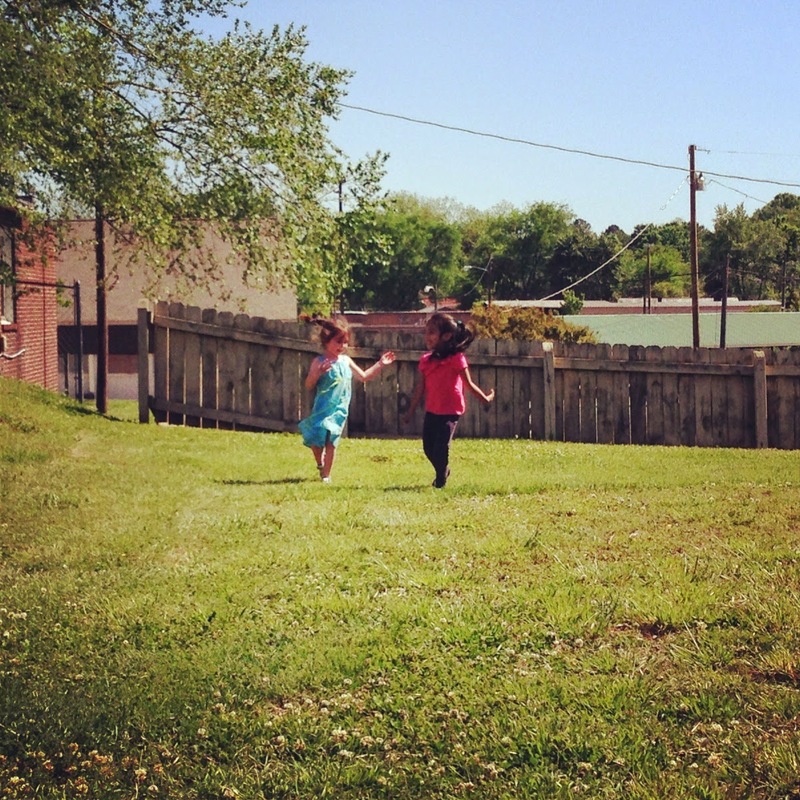 Love this picture and your description of the two little girls and their friendship!